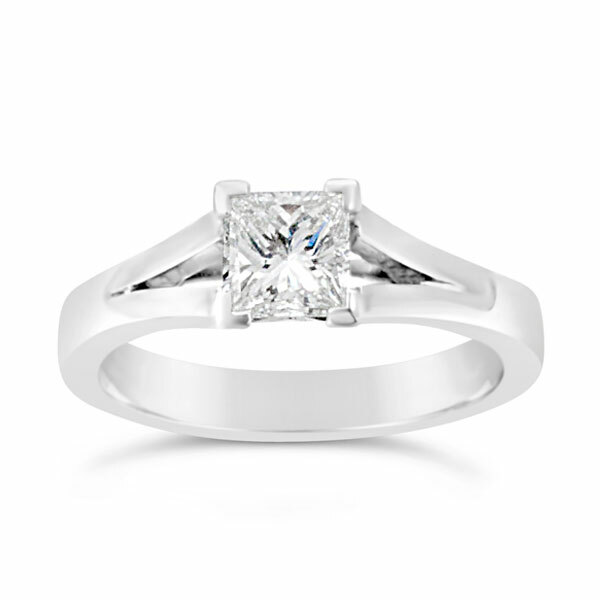 A 0.6ct F VS2 princess cut diamond engagement ring made in platinum with a split shank and open basket design with corner cut claws. 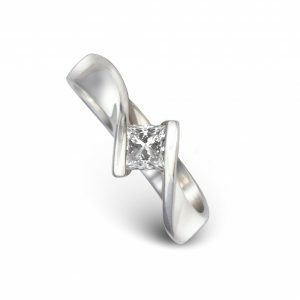 This unusual contemporary engagement ring ring shows off not just the diamond but the handmade platinum structure of the ring to striking effect. We can make and deliver this ring in four weeks. 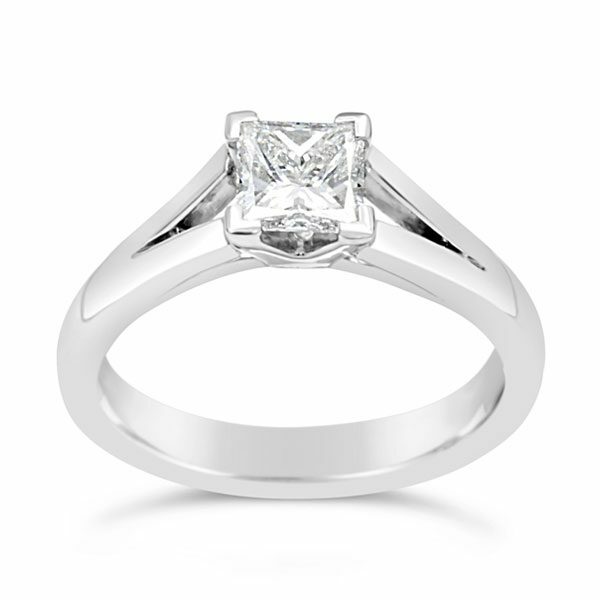 It can be made using a princess diamond or alternative gemstone from 0.5ct up to 3cts. 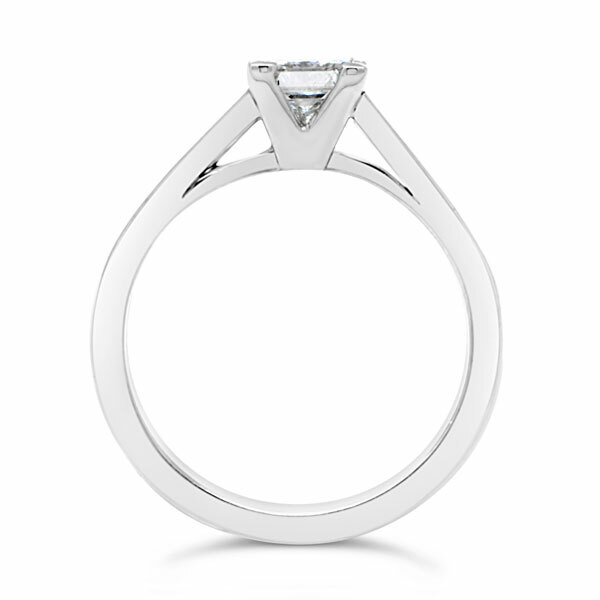 If you prefer yellow metal it can be made in 18ct yellow gold. 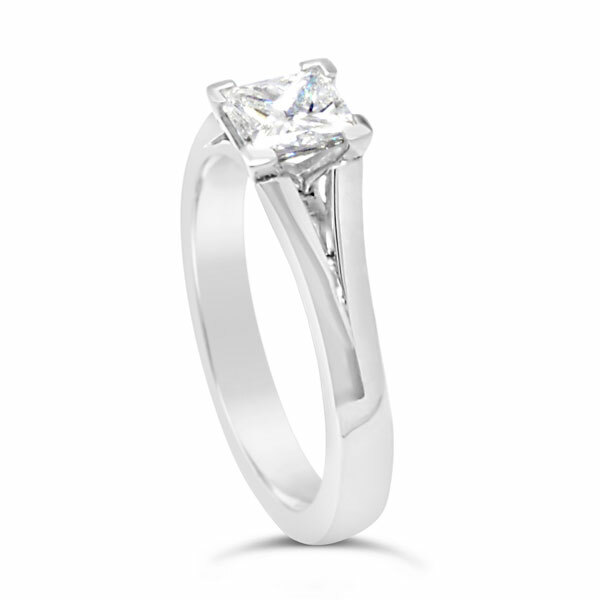 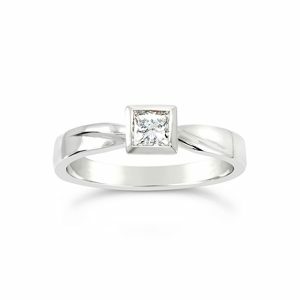 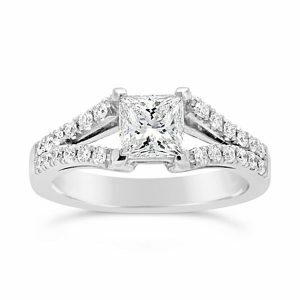 Order the ring pictured today or email us for quote with your alternate diamond size and metal.